The world’s leading TV hypnotist and renowned international keynote speaker Keith Barry has been blazing a trail across the globe for years. His skills as a mentalist have also made him a leading expert in influence and persuasion. Important skills for personal and professional success alike. Speaker Keith Barry’s mind-blowing skills have been showcased in over forty international television shows. 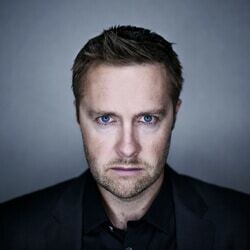 He has his own hugely successful US TV series, Deception with Keith Barry. In addition to which, Keith is frequently invited to appear on some of the most prestigious US shows. Including The Ellen DeGeneres Show, The Jimmy Kimmel Show and The Conan O’Brien Show. He has even brain-hacked a variety of celebrities. From Woody Harrelson to Bono, and Nicole Scherzinger to Morgan Freeman. Keith has not only worked on TV, but also the blockbuster movie Now You See Me. For which he worked as chief mentalist and hypnotist consultant. Over the past fifteen years, Keith has written, produced and performed many of his own stage shows. Speaker Keith Barry has sold out venues in the US, Australia, Canada, Spain, South Africa, the UK and of course his native Ireland. He has presented his keynote speech ‘Mind Magic’ at prestigious events. Such as The Cannes Lions Festival of Creativity and The Dublin Tech Summit. Keith’s TED Talk has been in the top twenty-five TED Talks since 2008 and it currently boasts over twenty-five million views. A true master of his craft, speaker Keith Barry has gained many awards over the years. Including ‘Best Magician in Las Vegas 2009’, as voted for by The Las Vegas Review Journal. As well as the very prestigious ‘Merlin Award’ for Mentalist of the Year in 2009. Joining the ranks of past recipients including Paul Daniels and David Copperfield. In this keynote presentation, Keith reveals to the audience how to tap into their subconscious minds to break through barriers, disrupt unhealthy thought patterns and exceed expectations both in their business and personal lives. As a leading expert in influence and persuasion, he will also share information on how to communicate ideas better using NLP strategies such as modeling, pacing, leading and yes-setting. Amazing and informative this keynote has something for everyone. Keith shares his experience with helping rockstars and sports stars with their mindset and how to stay motivated consistently. He will talk about his most recent success story where he helped Irish International Rugby Star Keith Earls to win player of the year in 2018 and how using the same strategies anyone can do the same. Speaker Keith Barry has had more adversity thrown at him than most. From a car accident in 2007 which nearly took his life to his Grandfather being killed in a botched robbery in 2009. Keith talks about how we can take adverse moments and use them to project us forward in the most inspirational manner.